The winter weather has hit and while many of us are enjoying our cosy beds and heartwarming dinners, others in the community don’t have the same luxuries. 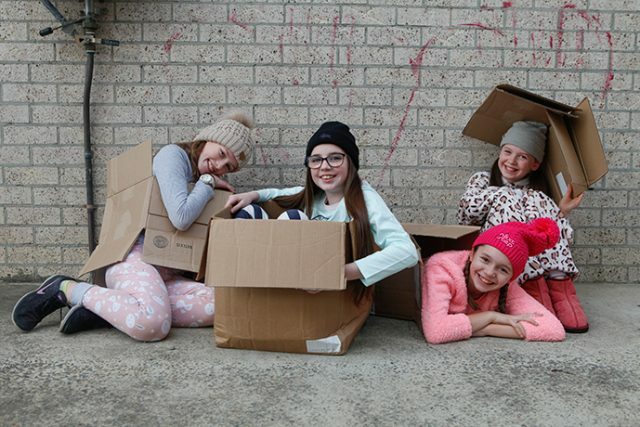 To raise money and awareness for the Penrith Community Kitchen, locals are encouraged to get together for a Project Warmth Sleep Out, to support the less fortunate in the community in a way that is educational for kids. Four girls – Kahlea Bailey, Sierra Adams, Olivia Slevin and Keysha Celeban – couldn’t do the sleep out on the planned weekend event, so have already held their own fundraising evening with incredible results. “Between the four of them they managed to get $2,000 in one weekend,” Rebecca Liu-Brennan said. Anyone is welcome to take part in the fundraiser, with the community having already raised $4,000. “The idea is for them to sleep out in the cold at night,”Ms Liu-Brennan said. “There’s no fear and anxiety that way, and families can do it together. “The main idea is to bring awareness to the kids, to let them know what it is really like for some people. The kids are our future, and my kids wouldn’t know what it’s like to go to school without a jumper. This year, the kitchen has seen more people use their services, making donations even more important, according to Ms Liu-Brennan. “We’re trying to feed everyone. It’s not just in winter that the increase is happening, it’s been a gradual increase this year,” she said. The fundraising weekend for the Penrith Community Kitchen is being held on June 29 and 30. 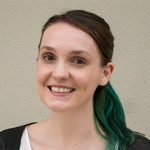 To create your own profile or to donate to the cause, visit www.mycause.com.au/events/projectwarmthsleepout.